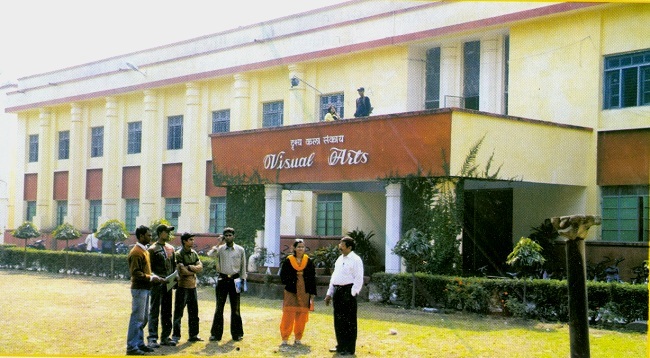 The Faculty of Visual Arts is one of the leading institutions in Fine Arts. It offers Bachelor of Fine Arts and Master of Fine Arts Courses and research programme in different specialized areas. It has various branches of specialization, viz. Applied Arts, Plastic Arts, Painting. It attracts an appreciable number of foreign students. The Faculty stresses on optimum interaction with standard art activities all over the country, organizes Art Fairs and Art Exhibitions quite frequently. Many alumnae of the Faculty are holding top positions as Designers, Painters, Sculptors, Textile Designers, etc. The Faculty has an Exhibition Hall where exhibition of the paintings of reputed national and international painters and sculptors are held. The teachers and students of the Faculty have participated in various national and international Art Exhibitions. The Faculty endeavors to produce professionals with creative thinking who can play a positive role in society.